Designed by 9 time NCFFA champion Jerry L. Smith of Paducah Kentucky, the Outlaw is a very unique high performance aircraft that possesses a wide flight envelope and is capable of some very interesting maneuvers unique to this design. The Outlaw features a progressive airfoil that transitions between the root and tip rib and also has built in anhedral. 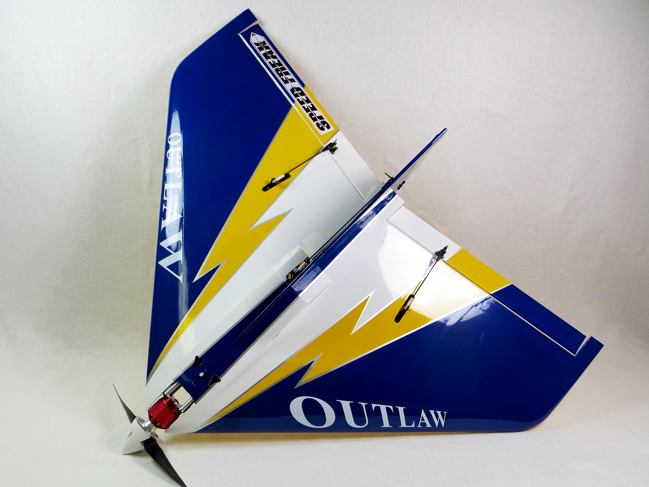 Noted aerodynamicist Robert Vess assisted Jerry with the design and this unique airfoil and planform are part of what makes the Outlaw perform as it does. We are very excited to release the Outlaw in a dedicated electric version as the first model in the new SpeedFreak lineup. 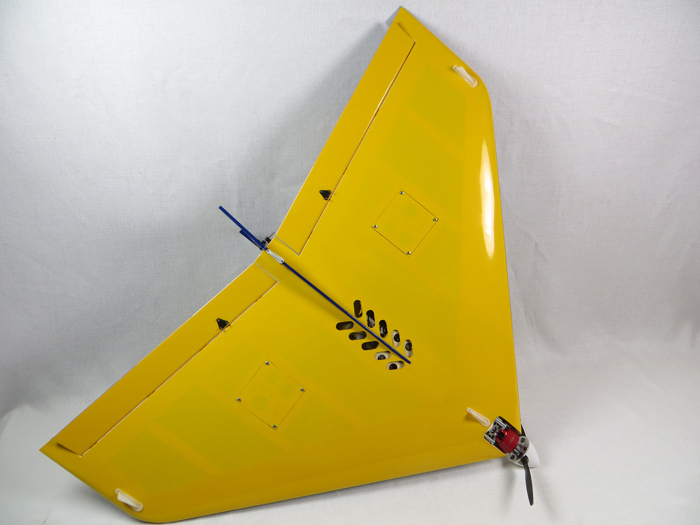 The design has been modified to allow for easy installation of electric power systems and a spring loaded hatch allows instant access to your battery and the aircraft interior. The Outlaw requires 2 standard size metal geared servos with 100+ oz./in. 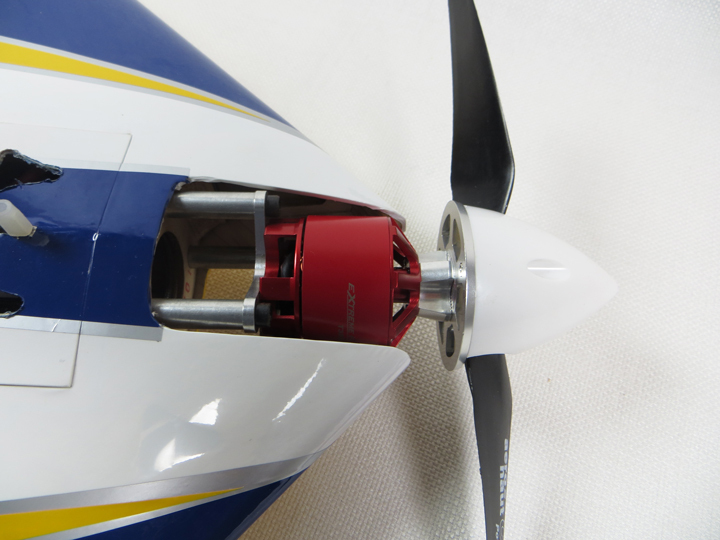 of torque for the elevons and a metal geared mini servo for the rudder. 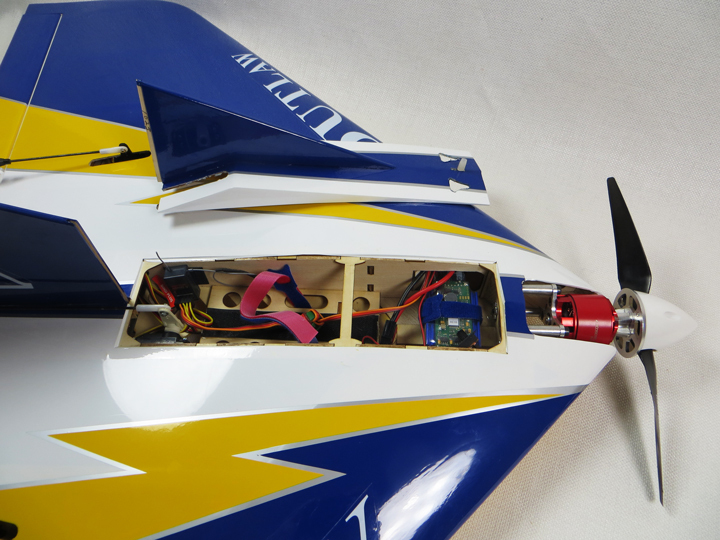 The recommended Xpwr power system provides incredible performance on 6S Lipo power (2700-4000 mah suggested). The Outlaw is a very unique aircraft and we are honored to have worked with Jerry to bring it to market. The only thing more fun than flying an Outlaw is flying several of them together with your buddies! Chris Jewett flying the E-Outlaw! 36" E-Outlaw Manual Wingspan: 36" Length: 26.25" Weight: 3-4 lbs. 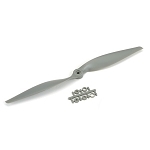 9 x 7.5E9 x 9ENote: The 9 x 9E prop will yield increased speed but at the sacrifice of flight times.